Trieste is known as la città più italiana or la città italianissima – the Most Italian City. This nickname stems from the city's ardent patriotism and its history as the capital of Italian Irredentism. The famed “cosmopolitanism” of Trieste only dates back to the late 19th and early 20th century. Its mythical reputation as a “cosmopolitan city” derives from foreign authors who witnessed Trieste's demographic and economic boom of the 1850's and 1860's, when Trieste rapidly rose from a modest city to a major commercial port. After this boom, there was a sudden influx of holiday tourism in Trieste, and the city attracted famous men such as Sigmund Freud and James Joyce, which led to the myth that Trieste was “cosmopolitan”. This false characterization of Trieste neglects the fact that during this same time period, in the aftermath of Italian Unification (1848-1870), there arose in Trieste a movement of staunch Italian patriotism known as Irredentism (earning it the nickname ‘the Most Italian City’) and a political struggle between the Italians and the Habsburgs. In this period there was ethnic discrimination against Italians by the Austrian imperial government, an attempt at ethnic cleansing by the same government, a struggle for independence and even an assassination attempt against the Emperor. This struggle lasted until the collapse of the Austro-Hungarian Empire in 1918. Trieste in those years was anything but “cosmopolitan”. Additionally, there is the similar myth of Trieste as a “melting pot” and as an archetype of “multiculturalism and diversity”. In reality, cities such as London (where Englishmen are a minority), Paris (with entire quarters inhabited by Africans) and Vienna (with its strong Jewish community) are far more diverse and multicultural than Trieste is or ever has been. Yet no one would deny that these cities are properly English, French and Austrian, not merely politically and geographically, but also because the dominant language, culture and ethnic composition of these cities has always been English, French and Austrian, respectively (at least from the Middle Ages until recent times). However due to political controversies, especially those surrounding Fascism and the Second World War, Trieste is treated differently and is depicted as a “cultural crossroads” and as a “multi-ethnic city” supposedly divided equally between Italians, Germans and Slavs. Such a mischaracterization is contradicted by the fact that Trieste has been an astonishingly homogeneous city (linguistically, culturally and ethnically) given its very long history: the city has been populated by Italians since its foundation more than a century before Christ, and has ever retained an Italian majority; in its millennial history it has known only two languages: Latin, and the Italian dialects which developed from Latin; and its culture has always been primarily influenced by Latin civilization, having never lost its connection to the Italian world throughout the centuries. In brief, the dominant language, culture and ethnic composition of Trieste is and always has been Latin-Italian. Up until the 19th century Trieste was inhabited exclusively by Italians, with only a negligible amount of German and Slavic minorities. Unlike many other cities in Europe which were divided between peoples of different religions, languages, cultures and ethnic groups, the city of Trieste was never a bilingual city; it was never divided along religious lines; and it was never split along ethnic, cultural or linguistic grounds. Trieste has always been overwhelmingly dominated at any given time by only one religion, one language, one culture and populated predominantly by one ethnic group. In ancient times the city was characterized by the Roman religion, Latin language, Roman culture and Italian population. From the Middle Ages until today it has been characterized by the Roman Catholic religion, the Italian language, Latin culture and the same Italian population. Trieste represents the exact antitheses of cities such as Brussels, Klagenfurt, Vilnius and Minsk, which for many centuries were hopelessly divided by competing languages, cultures, religions and ethnic groups. 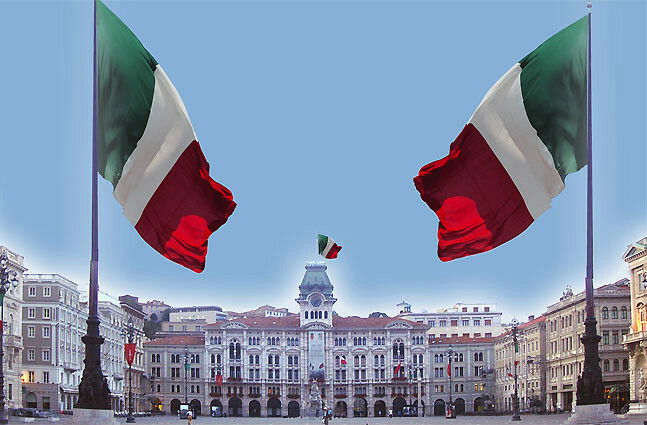 The city of Trieste, on the other hand, has always maintained its Italian homogeneity, despite the threats and attempts made by the Habsburg regime between 1866-1918. Despite influxes of migrants, which every major city experiences, still to this day Trieste is noticeably Italian in every way: from the customs of the people to the language spoken in the piazzas, from the civic architecture to the Venetian-esque canal, from the charming cafés to the narrow streets, Trieste resembles a typical Italian city in all aspects. Its culture, its appearance and its atmosphere are distinctly Italian and would not fit in any other country except Italy. This is in stark contrast to cities like London and Paris, which are so steeped in diversity that they have become almost unrecognizable and in some areas barely even resemble a European city. Not only is Trieste not a “melting pot” nor “multi-ethnic city”, but its millennial Italianity has often been underestimated and depreciated by outsiders, while the importance of the German and Slavic elements have been grossly distorted and exaggerated to absurd levels by foreign authors who know little about Trieste's history prior to its economic boom. At the same time, the historical tragedies suffered by the Italian population under Habsburg Imperialism and Yugoslav Communism, and the attempts to destroy Trieste's Italian character in the 19th and 20th centuries, have been almost wholly suppressed or ignored by most historians since the end of World War II. Trieste is a proud Italian city. The anti-Italian policies of the Habsburgs and their failed attempt to forcibly Slavicize the city prior to World War I, together with the 42-day occupation of the Yugoslav Communists and the Foibe Massacres at the end of World War II (amounting to two attempts at ethnic cleansing in under a century), in addition to the decade-long military occupation by the Western Allies after the end of the war, has all only served to reinforce the Italian patriotism of Trieste. 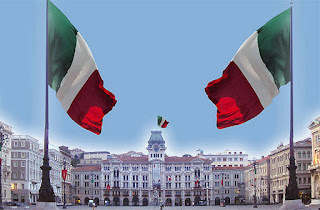 Today Trieste remains one of the most proud and patriotic cities in all of Italy and is home to a number of patriotic, nationalist and irredentist organizations devoted to defending Trieste and its millennial Italian civilization. The idea of Trieste as a “cultural crossroads” and “multicultural melting pot” is a myth perpetuated for political reasons. This holds true not only for Trieste, but also for the former Italian territories that were annexed to Communist Yugoslavia after the Second World War, namely Istria and Dalmatia.